Whether you're supply teaching and wishing to move into the Early Years setting from a higher key stage, or an EYFS qualified teacher looking to be a supply teacher, this book is the survival guide for you! Jenny knows a thing or two about EYFS supply teaching. She is a brilliant, career supply teacher who has a real passion for her work. In this book, Jenny writes from experience, from the head and from the heart about how to succeed in EYFS supply work. The book contains two main sections, The Practicalities, and The Plans. The first contains information on everything from classroom management to changing nappies to playdough. The Plans (featured on this website) are a full and instructive set of exemplified plans that could easily be applied by any supply teacher who finds themselves left with no planning or a few spare moments. £3.50 – Upon completion of payment, please click on 'Return to Merchant', which will redirect you to the PDF to save to your device. 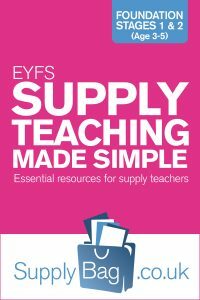 Read a review of EYFS Supply Teaching Made Simple by @EmmaCKThompson. 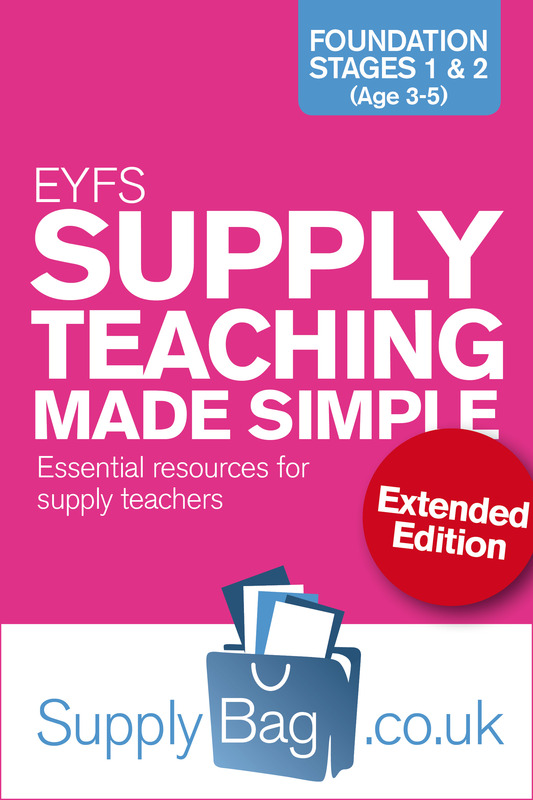 In this shorter version of EYFS Supply Teaching Made Simple, you will find The Plans. Just looking for ideas on how to survive as a supply teacher in Early Years? Here is what you're looking for… plans, for when you have no planing left, or have a few spare minutes, that demand very little prior planning, virtually no resources or preparation – perfect for supply teachers! All the plans are freely available on this site in the Lesson Plans section, but this handy PDF can be taken with you on your next supply teaching assignment. £1.75 – Upon completion of payment, please click on 'Return to Merchant', which will redirect you to the PDF to save to your device. If you'd like to include any KS1 downloads with your purchase today, please click here for discount bundles.